New Relationship Underscores Gillette’s Commitment to Supporting Men in Achieving Their Best As They Rise to the Top of Their Game. 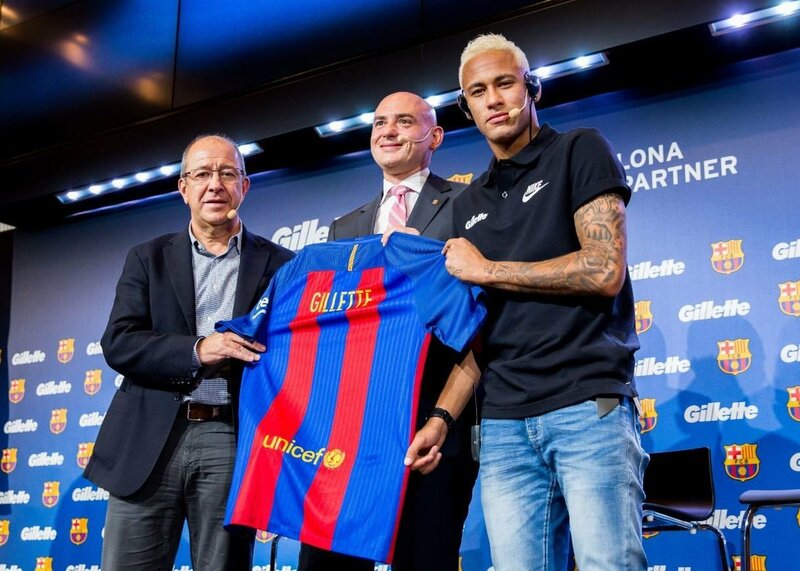 Gillette®, the world’s leading male grooming brand, today presented a global partnership with Futbol Club Barcelona (FCB). With the shared belief that there are no shortcuts to anywhere worth going, the new relationship solidifies their shared commitment to helping groom the next generation. As a premium partner, Gillette aims to celebrate the role precision plays in putting men on the path to victory, both on and off the pitch. As one of the best clubs in the world, FCB is unyielding in its commitment to identifying and developing the greatest players from the start, cultivating their skills on the pitch and, as the best a man can get, Gillette relentlessly pursues the creation of high quality, high value razors honed to the finest edge and detail. For both, precision is a core value in helping groom the next generation as they achieve their best. Building on the momentum of an exclusive partnership in Latin America, the expanded partnership now brings the collaboration to the global stage. 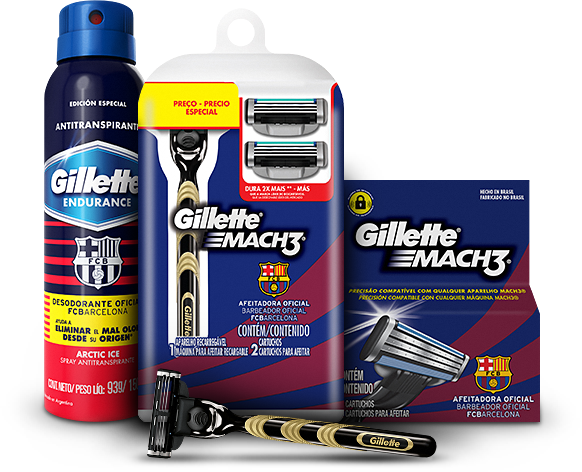 In addition to its support of FC Barcelona, Gillette is teaming up with one of the club’s star player Neymar Jr. to highlight humorous moments when guys realize their current actions just won’t cut it any more – in life and in shaving. Neymar Jr. is using his own Twitter account to share funny, exaggerated photos of himself before he stepped up, inspiring guys all around the world to look back on their old habits with good humor and realize how far they’ve come. For over 110 years, Gillette has delivered precision technology and unrivaled product performance – improving the lives of over 750 million men around the world. From shaving and body grooming, to skin care and sweat protection, Gillette offers a wide variety of products including razors, shave gel (gels, foams and creams), skin care, after shaves, antiperspirants, deodorants and body wash. For more information and the latest news on Gillette, visit http://www.gillette.com/. FC Barcelona was founded 116 years ago in 1899, and is unique in many ways. The club is owned by its more than 143,000 members and has won multiple domestic and international trophies in a number of different sports. Because of its very special personality, ‘Barça’ is recognized as being ‘more than a club’. Its distinctive style of play is projected around the world by the best players and coaches of their time in combination with club’s famous reliance on homegrown talent. All of this goes hand in hand with its ongoing ambition to become the most admired, beloved and global sports institution on the planet. This mission is supported by such core principles as humility, effort, ambition, respect, and team-work, while the club is also famed for its commitment to society, which is channeled through the FC Barcelona Foundation and its work to educate children through the positive values of sport. Such unstoppable growth in recent years has led to a global reach of more than 300 million fans and made FC Barcelona the world leader on social media.